Mighty Mary is the story of the people and events leading up to the America’s Cup of 1995. The story of the first women’s team ever to compete in the America’s Cup caught my attention after meeting a crew member at a conference. Our discussion over lunch inspired me to learn more about the women’s team competing for the oldest trophy in all of sport. The story I uncovered gripped me. Why wasn’t this story ever told? Women struggling to compete at the highest level of sport while facing the additional challenges of bias, discrimination and contempt the men had for them competing in their domain. 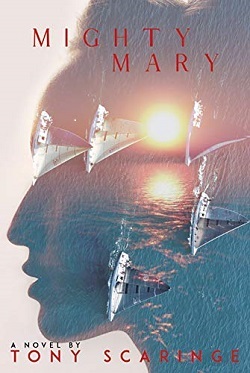 Mighty Mary portrays the complex lives and rich experiences of numerous characters. The book takes you on a journey through drama, mystery, humor and love leading to the triumph of human endeavor.